M-Sport Ford World Rally Team’s Elfyn Evans, Teemu Suninen and Pontus Tidemand will be hoping for a classic Rally Sweden when the FIA World Rally Championship ventures to Värmland’s frozen forests next week – their later road positions meaning the more snow the better! As one of the fastest events on the calendar, every second counts and the team are meticulous when it comes to ensuring the EcoBoost-powered Ford Fiesta WRCs can compete at peak performance. Every detail counts and nothing is left to chance. Heated side windows and radiator protection ensures the conditions don’t impact on performance, and high tech meets low tech with carbon fibre snow shovels and tow ropes ready to free stricken cars from the snowbanks. Even the car jack has a reinforced carbon foot to stop it from sinking into the snow! Every detail has been considering for this unique winter rally, and the team are determined to realise their potential. With two Scandinavians in the team, the stage is set and we’re ready to show what we can do in the land of ice and snow. For the first time, there will also be five top-specification Ford Fiesta WRCs in competition – Evans, Suninen and Tidemand joined by privateers Lorenzo Bertelli and Janne Tuohino. Team Principal, Richard Millener, said: “We’ve regrouped after Monte and are determined to do better in Sweden. If the conditions are good all three drivers could have a good road position and, if that is the case, it will be important to make the most of the advantage. We showed some good speed last month and I’m confident that we can do the same on snow. “Elfyn is a previous Rally Sweden category winner and people often forget the names he beat to take that WRC 2 victory back in 2016. Teemu doesn’t have as much experience as people might expect when it comes to winter rallying, but he’s a quick learner and keen to show what he can do. “And then there’s Pontus – the local hero who grew up on these roads. It’s important not to put too much pressure on his shoulders as this is still only his second event with a new-generation world rally car, but we know his potential and he has already learnt a lot so I wouldn’t be surprised to see some good times from him. 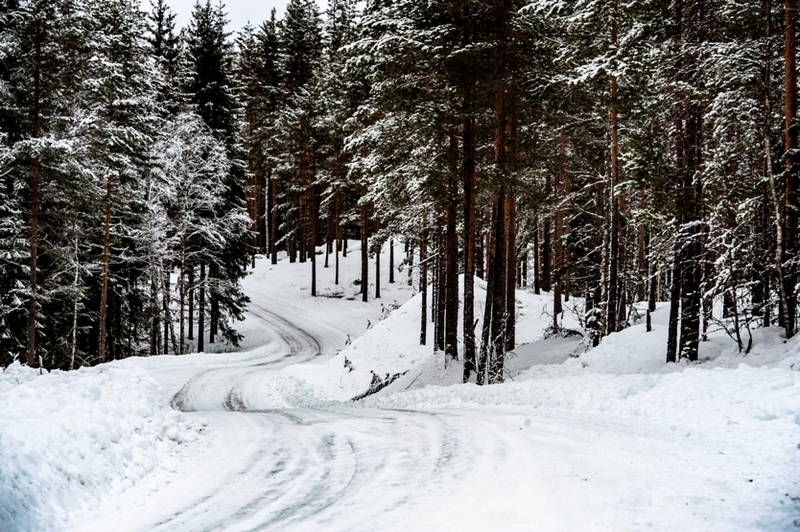 Rally Sweden is the only true winter rally in the FIA World Rally Championship with frozen roads that venture deep into the Swedish and Norwegian forests. 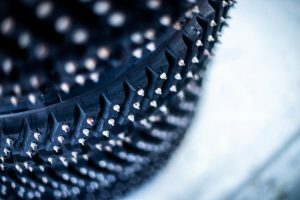 Michelin’s studded tyres bite through the snow to capture grip on the hard ice below, and the cars reach phenomenal speeds. Hard-packed snowbanks can be used to guide the cars through corners at high speed, but if the crews misjudge the art they’ll risk the banks collapsing – leaving them trapped with nothing but a snow shovel and the enthusiasm of the fans to set them free! There is no doubt about it, Rally Sweden favours the brave and the eventual winner will have had to beat the elements as well as their rivals. Elfyn Evans may not have grown up on snow, but the Welshman is a past Rally Sweden winner having out-performed the locals to secure victory in the WRC 2 category when he took to the wheel of the Ford Fiesta R5 in 2016. Co-driver Scott Martin finished second overall at the event last year, and the pairing will be hoping to challenge for the top positions once again next week. 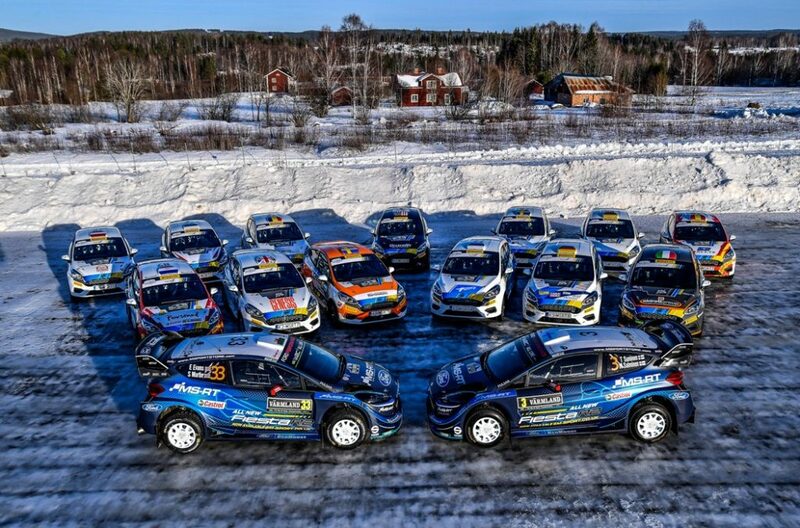 Elfyn Evans said: “As the only winter rally on the calendar, Rally Sweden is pretty special. We had a good test last week and it was important to get the sensation of driving on snow again. We reach incredible speeds and it’s an amazing feeling – making this one of the most enjoyable events of the year when the conditions are good. “We’ll certainly be hoping that the conditions work in our favour next week and it will be important to make the most of the advantage if that is the case. We’ll have to wait and see what it’s like when we get there, but we have our fingers crossed for a classic Rally Sweden with plenty of snow. “Monte didn’t end the way we wanted it to, and we need to remain focused and make good on our potential next week. We know that we have the package to achieve a strong result and both myself and Scott have had strong results at this event in the past. Having started his motorsport career in karting, Teemu Suninen doesn’t have as much experience as expected when it comes to winter rallying, but that won’t stop the young Finn showing his potential next week. Co-driver Marko Salminen secured victory in the event’s WRC 2 category last year, and the pairing are determined to prove their potential at the highest level of competition. Teemu Suninen said: “Last week we drove a good test day with more than 200 kilometres in Finland. We actually had a lot more set-up changes to work through this year, and I could feel we’d taken a step forward. Pontus Tidemand will have the home crowd on side next week as he’s the only Swede to contest this year’s Rally Sweden with a new-generation world rally car. Having got to grips with the power and performance of the top-specification Fiesta at last month’s Rallye Monte-Carlo, Tidemand and co-driver Ola Fløene showed their potential and will be keen to make a good impression on home soil. Pontus Tidemand said: “Rally Sweden is the highlight of my year – the big one that I always look forward to and I feel one hundred percent ready to take on the challenge of my home event. And what makes it even better is that I’m behind the wheel of the most amazing car I’ve ever driven. “To speed through the snowy forests and see all the fans, the bonfires and the Swedish flags waving is an amazing feeling that beats everything. And to know that I have family, friends and supporters out there really gives me a boost. “I’m starting to feel very comfortable with the car and I already feel at home in the team. When we came to Monte-Carlo last month, more or less everything was new and it was all about learning. It was an extremely important experience for both me and Ola and it gave us a chance to get used to it all.